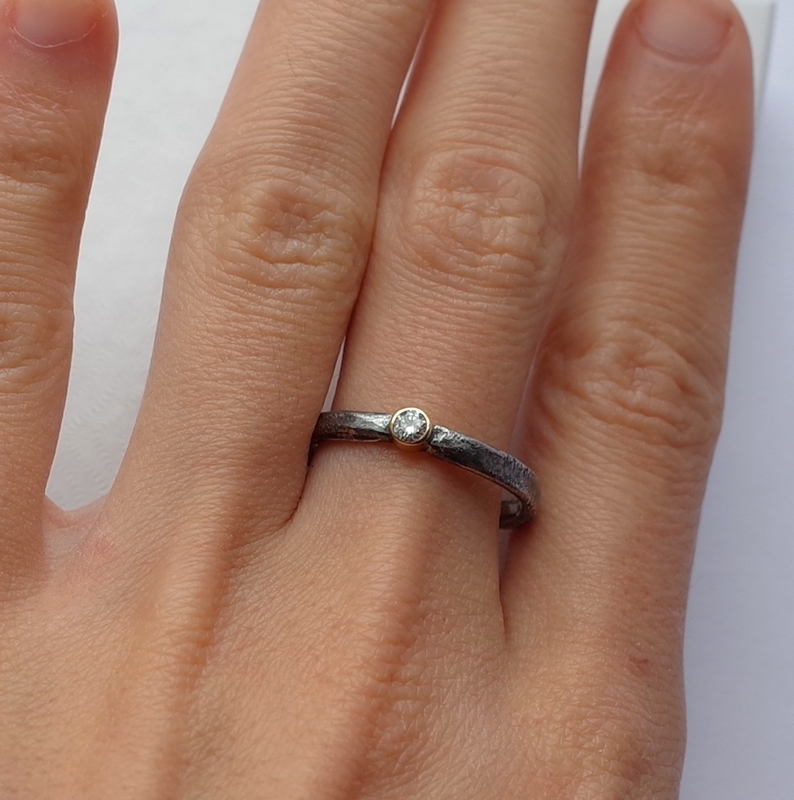 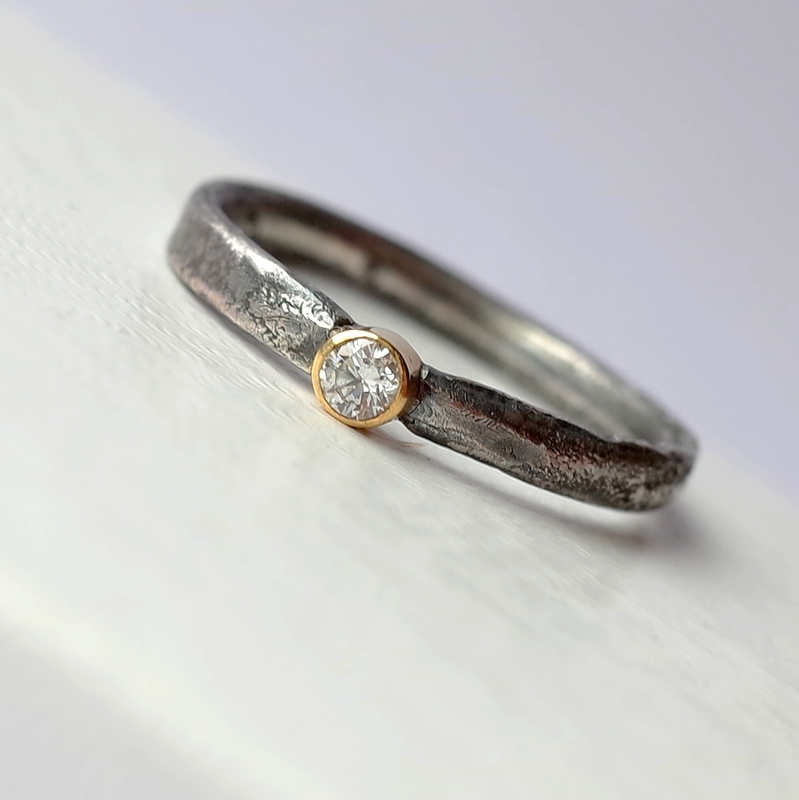 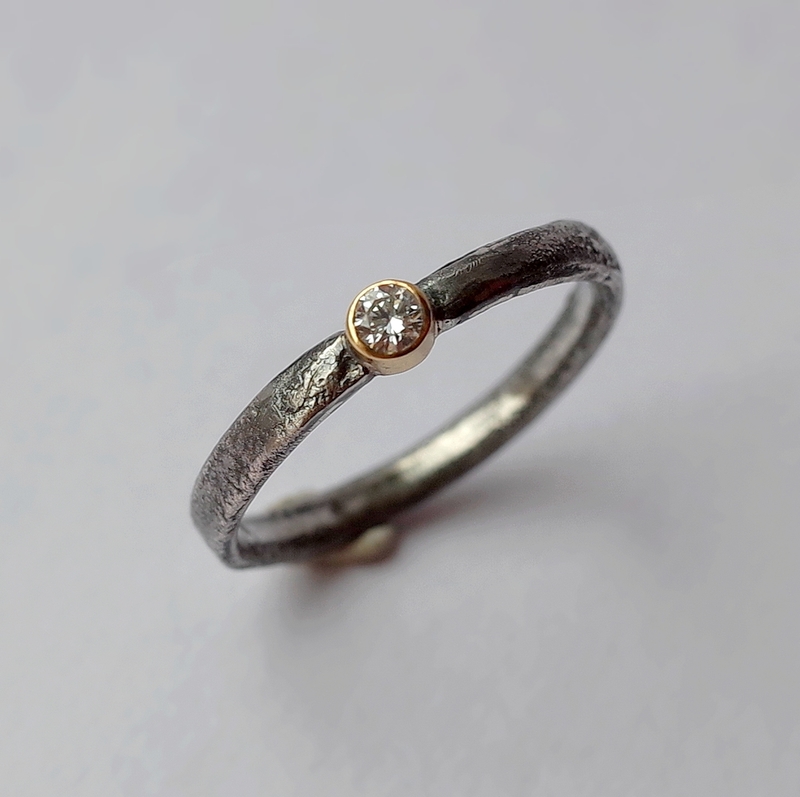 Sterling silver diamond engagement ring with rich rustic texture and 3 mm diamond (G/H, SI) set 18k gold setting. Really unique engagement ring with conflict free diamond. 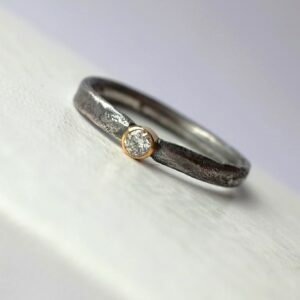 For woman who likes something different than shiny blingy rings from high street jewellery shops. 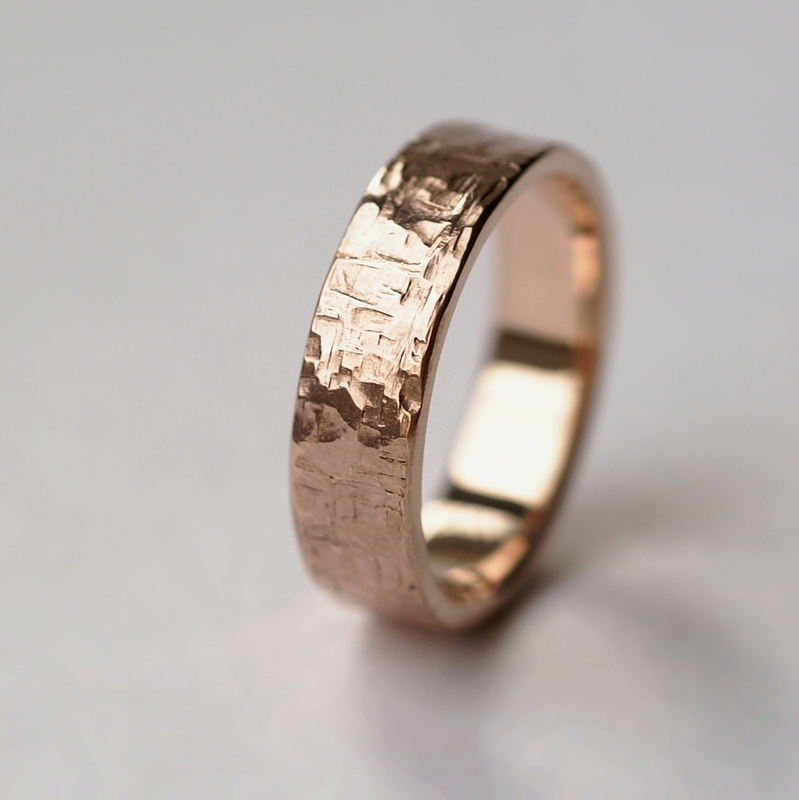 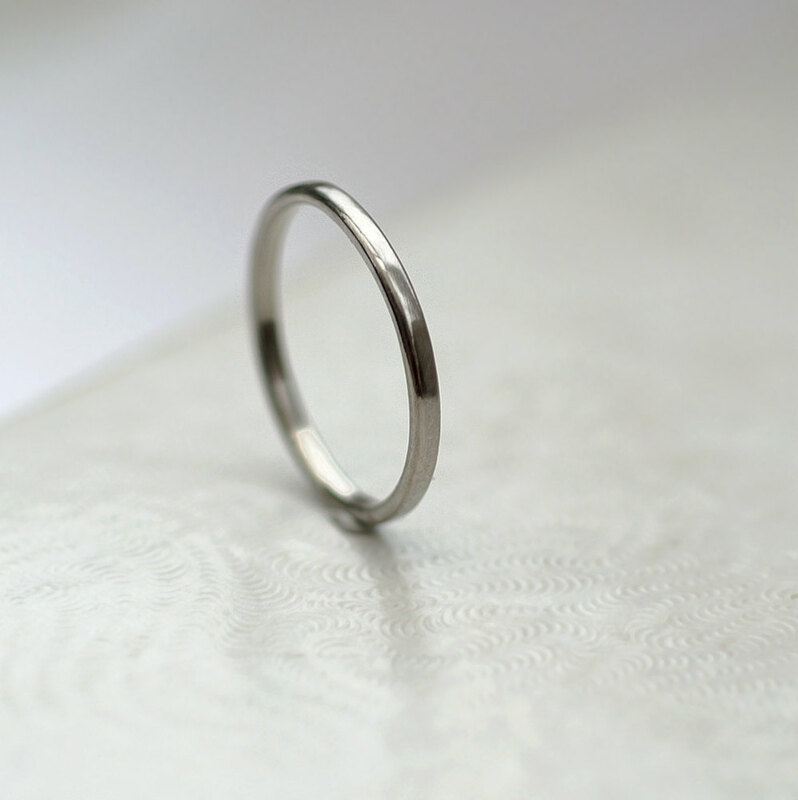 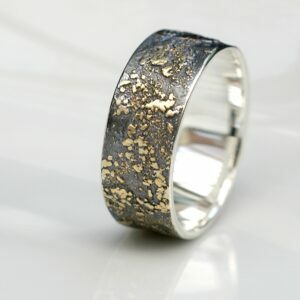 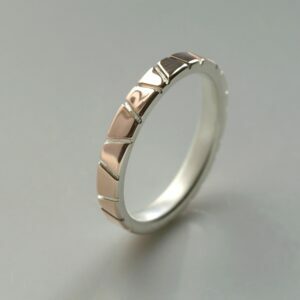 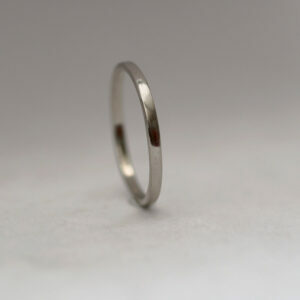 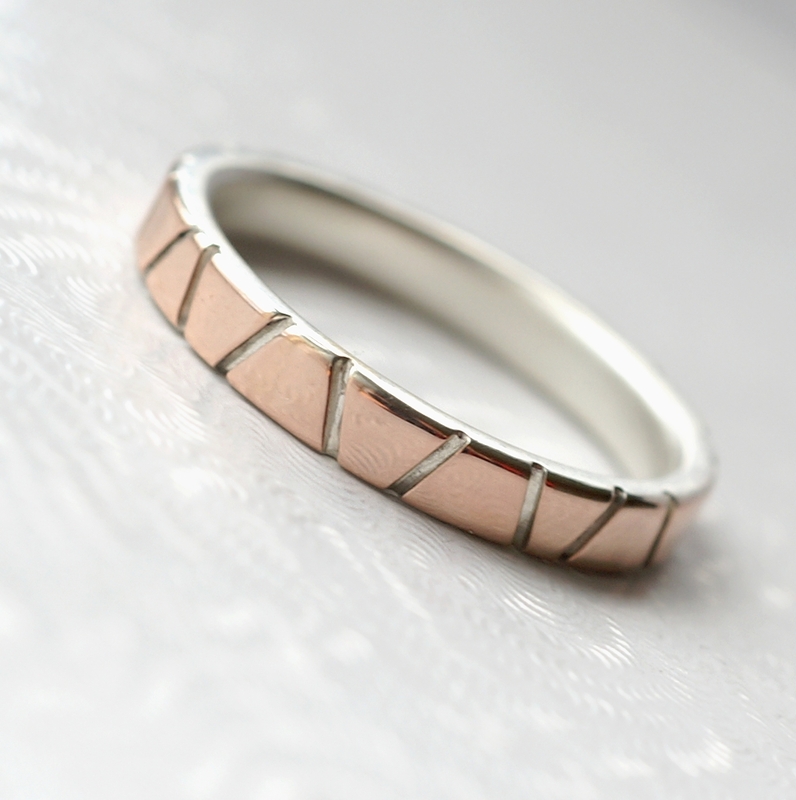 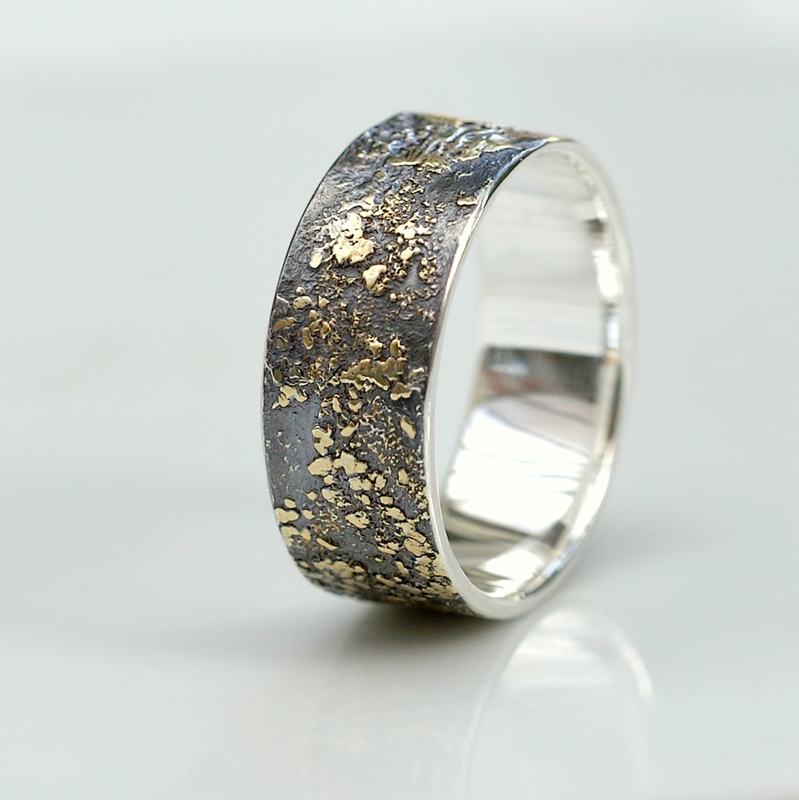 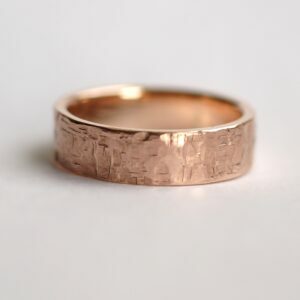 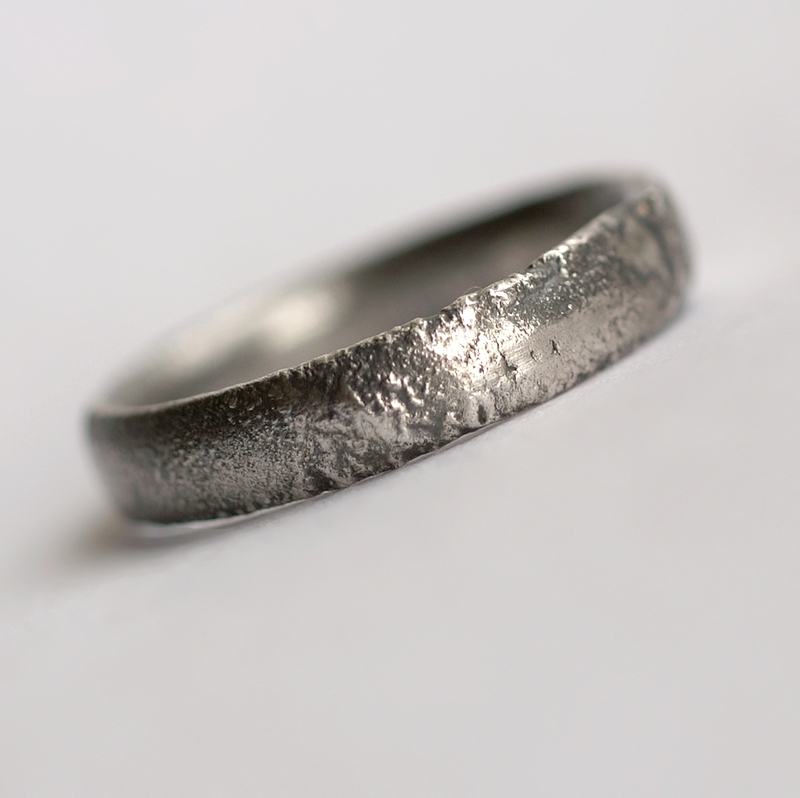 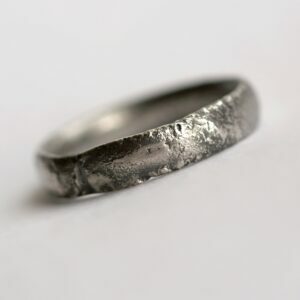 The band is sterling silver textured with reticulation (melting of the surface), rounded and comfortable, 2.5mm wide. 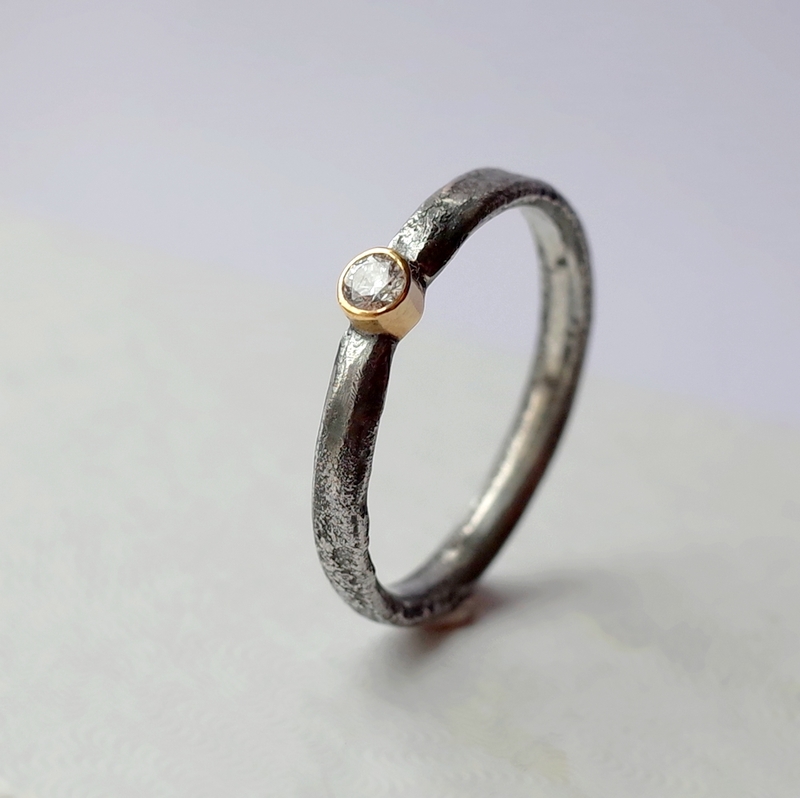 Gemstone setting is made from 18k yellow gold.